Here’s something a lot of you may not know about me: I love whiskey. There’s a slight stigma (and misconception) that comes along with whiskey and the people who drink it: it’s too strong, it’s harsh, and it’s predominantly “a man’s drink”. I’m here to tell you that if you’re drinking good stuff, like The Dalmore, it is none of those things. A good whiskey can be just as smooth and pleasing to the senses as a good wine…if you know what you’re doing. 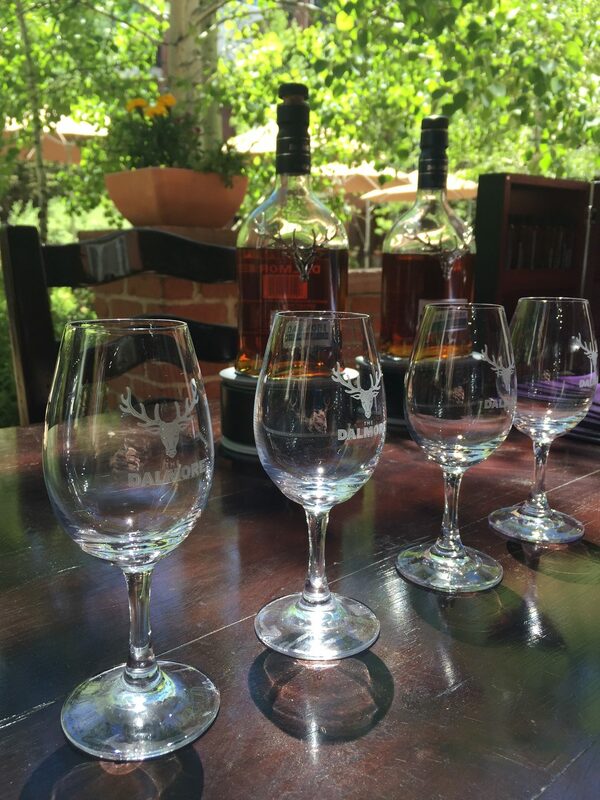 Now let me preface this by stating that I am no expert, but after a few tastings and most recently, a private tasting at the Aspen Food & Wine Classic with The Dalmore’s Rare Whisky Director, Jonathan Driver, I think I’m well equipped with whisky whits. Say that 5 times fast. We could go into the extreme details here on ABV percentages and what not, but I hate numbers. I’d rather share what’s more important for the every day person: how to taste it properly and how to pair it with foods. Pass it under your nose. Don’t stick your nose straight into the glass and sniff the way you would a fresh glass of wine. The aromas are stronger with whisky, which is why people tend to get turned off just by smelling it if they do it the “wine way”. Pass under the nose, gently inhale across the top of the glass, back and forth about 3 times. Inhale/exhale. The aroma will gradually build and appear sweet, as opposed to intense. Have a small sip of water. Before you take a sip of the whisky, take a sip of water – this helps make it a bit smoother upon first taste. And pay attention to the strength of it – if it’s a high strength (above 50% ABV), take a sip. If it’s 40-45% ABV, you don’t really need to have water. But if you’re a whisky neophyte, you might want it anyway. Don’t gulp. This is probably obvious, but whisky is a sipping beverage. Tasting it is a slower process than with wine, and it’s a bit more delicate. When you take that first sip, keep it in your mouth for a second or two and swirl it around gently. Emphasis on gently – this isn’t Listerine. Just pass your tongue around your mouth to swirl it around and gently swallow. You’ll notice the flavors develop; with a good whiskey, these flavors should be smooth, sweet, and linger like a candy, not burn in any way. People have this misconception that whisky will make their eyes water and burn going down. Now you know if you taste it properly (and aren’t taking a shot of Jameson), that won’t happen. In fact, one of the reasons women are becoming more adept at whisky drinks is because they are becoming educated on the product (you’re welcome, ladies). The omnipresence of cocktail bars making whisky cocktails doesn’t hurt either, but there is a huge demographic shift happening within the whisky world favoring women. I’m just happy that Beyonce didn’t have anything to do with this one. Now. Onto the food pairings. This was probably my favorite part (shocking). Here are some suggestions in case you want to host a tasting of your own. Dark Chocolate. Take a piece and let it sit in your mouth, maybe one or two bites, but before it completely disintegrates, take a sip of the whisky. You’ll notice it almost caramelizes the chocolate and deepens the flavor before you swallow it. The chocolate should also be good quality, with a high cacao percentage (between 70%-85%). This isn’t the place for a Snickers. 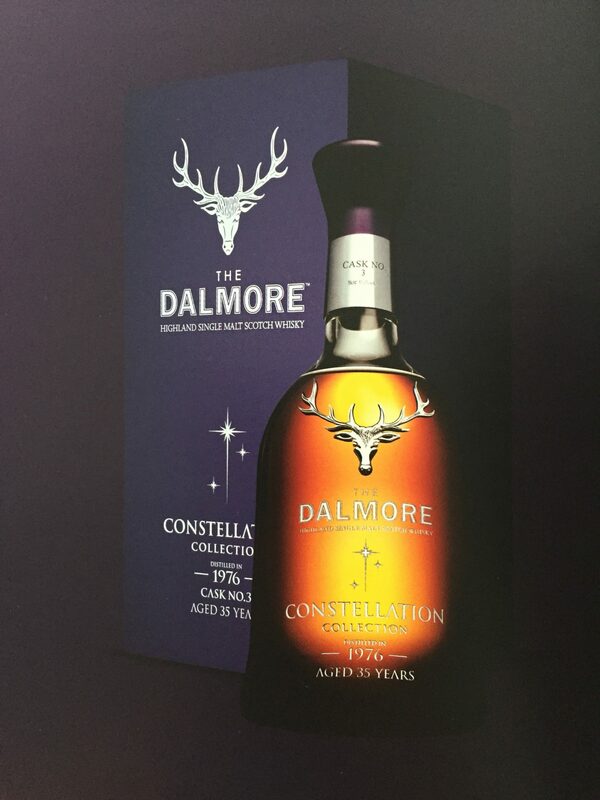 The Dalmore 18 goes really well with chocolate – aged for 14 years in Bourbon Wood, then transferred to 30 year old Matusalem Olroso Sherry Wood – it has notes of orange, vanilla, honey, and spices. BBQ. Smoked and grilled meats, marinated then grilled, spice-rubbed…anything with a deep char goes really well with whisky. Things that have bursts of flavor like that are brought out by the whisky. 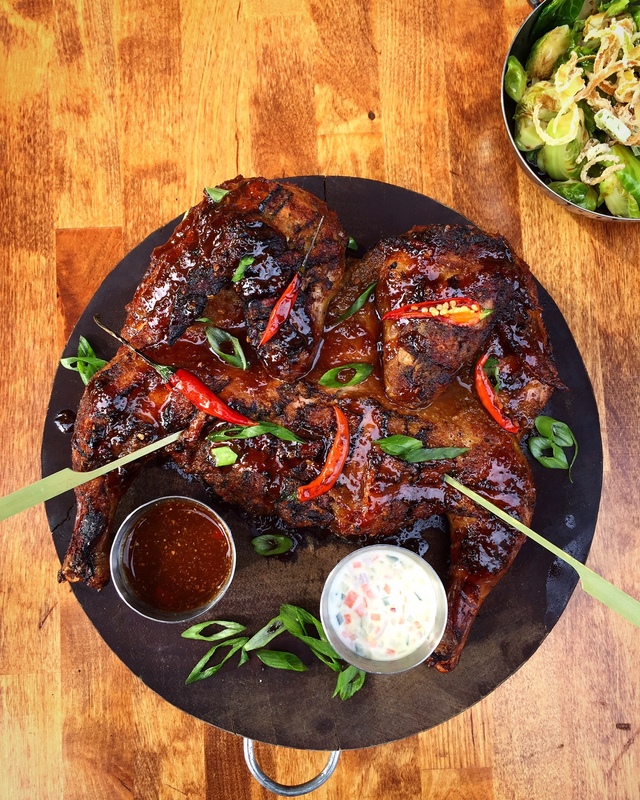 Next time you have a piece of brisket with burnt edges or a grilled chicken with crispy skin (see below the GORGEOUS Gai Yang chicken from Streets in Williamsburg), take it with a glass of whisky – you’ll see how it picks up on the bits of char. It’s…magical. Sashimi. I know this might sound strange because sashimi is basically the opposite of BBQ and heavy meats, but the idea here is that the whisky cuts through the oily undertones of fish. Not cooked fish, just raw like sashimi. Try a flight with smoked salmon, and you’ll see for yourself. Plus, I don’t know about you but I’ve always wanted an excuse to have a glass of whisky on the rocks with my brunch bagel. So there you have it. You have the basics of whisky (and whiskey with an E), how to taste it, and what to pair with it. AND you know the difference between Scotch and Bourbon (albeit on a very basic level, but enough to make you sound like you know your stuff). The most important thing to remember when hosting or attending a whiskey tasting is to take your time – it’s a very different vibe and different culture than wine. Wine has a certain joie de vivre; it’s exuberant and highly spirited (no pun intended). Whiskey on the other hand, is just as social, but there’s a nostalgia to it – it’s a walk down memory lane where time stops for a bit. And I happen to really like that. In this world where everything moves a bit too fast, perhaps we all need a little whiskey sips in our lives. 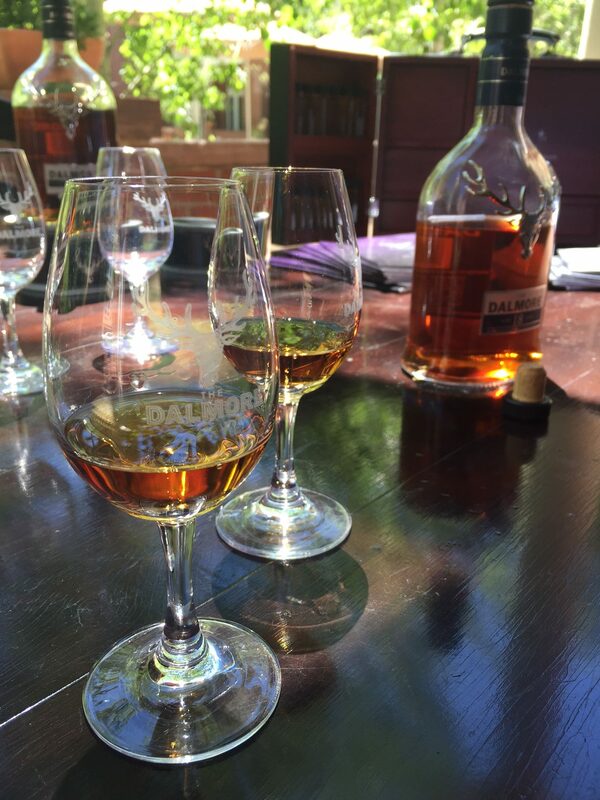 If you have the opportunity to experience The Dalmore, I highly recommend it. It’s not cheap, but that’s the point – it’s worth it for a special occasion. And now you know what to buy me for Christmas.